In this article find all the important details regarding the application forms for KEAM 2019 and the application process. 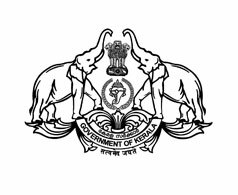 Through the KEAM 2019 (Kerala Engineering Architecture Medical) examination, aspiring candidates can seek admission in the various engineering colleges of Kerala. The exam is held in centres throughout the country and in Dubai as well for undergraduate engineering courses. For medical and architectural courses, candidates need a NEET and NATA score respectively rather than KEAM. This is why KEAM examination has been limited to engineering courses only. The examination will be held in offline mode, it will be pen and paper-based and not a computer-based examination. It will consist of questions on the subjects of mathematics, physics and chemistry. In this article, candidates will find every important detail regarding KEAM – Kerala Engineering Architecture Medical Application form 2019. Details like How to fill the KEAM 2019 Application Form, How to Register for KEAM 2019, How to Apply for the KEAM 2019 Exam are discussed below. KEAM 2019 application forms will be made available on the online portal in the month of February 2019. Candidates can find the application form for KEAM 2019 online but will have to send it by post. Application fee can be paid both online as well as offline. ST candidates do not need to pay the application fee if their annual family income is below Rs 40,000/- . Find the application form on the online portal cee-kerala.org, and register with a valid email id and phone number. Candidate will have to fill in personal details such as name, address, date of birth and educational qualifications. Candidate will then be required to upload scanned images (10-30 kb) of their recent passport size photograph, signature, and left thumb impression. Candidates may also need an income certificate of their parents and their community certificate in case of reserved category. The candidates can pay their application fee through online mode i.e. via debit card/ credit card/ net banking, or through offline mode via demand draft. After submission of application form and payment of the fee, candidates need to take a print out of the same, attach their recent passport size photograph and get the print out attested by the head of the institution in which the candidate has studied most recently. The candidate will also have to attach various supporting documents and certificates as mentioned in the form. Candidates can check the status of their application form through the online portal using their login credentials. Find the detailed article here: KEAM 2019 Kerala Engineering Architecture Medical Examination. For any further queries related to application form details for KEAM 2019, comment below. ExamGyani is an educational portal which aims to provide admission guidance to the students studying in India.